An interview with Cary Solomon and Chuck Konzelman, the Catholic writers, directors and producers of Unplanned. 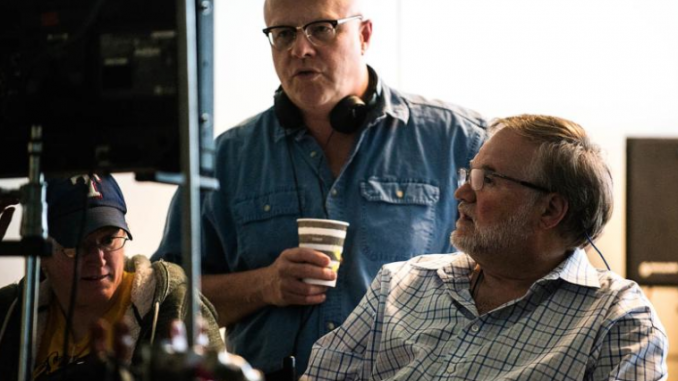 Catholic writers, directors and producers Cary Solomon and Chuck Konzelman are excited about today’s release of their newest film, Unplanned, the story of former Planned Parenthood clinic director Abby Johnson’s conversion to the pro-life cause. The pair have collaborated on many films, including God’s Not Dead (2014), God’s Not Dead2 (2016), and Do You Believe? (2015). Solomon and Konzelman spoke recently to CWR about the making of Unplanned. CWR: Why did you want to make this film? I started reading it first, and then later Cary. The material was pretty heavy, but I knew it was a film God was calling us to do. Solomon: The story came to us at a time when we were talking with Clint Eastwood about doing a western with him. Chuck had read the book, and came into my office and said, “This story must be told.” Every person must be told about this epidemic, this disease called abortion. Why is the timing so important? Four or five years ago Obama was in the White House, and Kamala Harris was our California attorney general. She tried to put [pro-life activist] David Daleiden in prison. Maybe she would have seized our material, and tried to put us away, too! CWR: What was the process of developing the story? Solomon: We went to Texas and interviewed Abby, as well as all the other key people involved in her story. This included Abby’s parents, as well as her husband, Doug. Konzelman: When she worked at Planned Parenthood, Doug was a believer and pro-life. Abby was a believer, too, but pro-choice. We wanted to understand how things worked out under that roof. CWR: You probably had to condense quite a bit, but otherwise how true is the film to Abby’s story? Konzelman: Extremely true. We started to write her story with hundreds of pages of notes from interviews in our hands, more than we’d ever had before. We had to pare away a lot of material, but we did not embellish. CWR: How difficult was casting the film? Solomon: It was very difficult. We had intended to go through the typical process when you make a movie, where you have a casting call, with qualified actors from the Screen Actors Guild (SAG) showing up. You find people you like and hire them. So, we walked ahead in faith, and one by one, the actors we needed miraculously appeared. One woman we hired, Robia Scott, we met in an airport. In the movie she plays Cheryl, who works for Planned Parenthood. Konzelman: Our abortionist in the film is played by Anthony Levatino, a retired abortionist [who is now pro-life] who specialized in 2nd trimester abortions. In his performance, he was able to show how the abortionist goes about his task with ruthless efficiency. CWR: You both work as a writing team. Solomon: It’s the only way we know how to work. I couldn’t do it on my own, and Chuck will tell you the same thing. We write, produce and direct together. He’s my best friend, and was the best man at my wedding. He’s the godfather of my son. We complete each other’s sentences. It’s been a wonderful partnership. CWR: What challenges did you meet along the way? Solomon: We had many. The biggest challenge in making most movies is raising money. And, that can be hard with a movie about abortion, as it is divisive and inflammatory. But the Lord told us He’d take care of the money, and it came to us in abundance. One Friday afternoon, for example, we needed $1 million to begin shooting on the following Monday morning. We had 200 workers standing by, and a 4,000 square foot set, and we were $1 million short. I gave him our routing number, and before that 10 minutes was up he wired the money we needed to us from his plane. We had other challenges, too. Some people in the industry wanted us to change the way we told the story. The Lord told us to be bold, and to stay firm to what we believe. We also had problems with coordinating schedules, and raising the marketing funds we needed. CWR: Are you pleased with how the film turned out? Solomon: I give all praise to God. We’ve had something like 5,000 people see it already, including some senators, Glenn Beck and Ben Carson. Not a single person has told us they didn’t like it. He went on to say that we needed to have laws to put an end to abortion. I cannot believe that came out of his mouth. As a man of God, I watch what the Lord is doing. And, I think with this film He’s going to save post abortive women. There has been something like 1.5 billion abortions worldwide in recent years, which means many millions of post abortive men and women. This movie will reach out to them. We had a nurse who had previously worked for [now imprisoned abortionist] Kermit Gosnell come to one of our screenings. Her comment to me after viewing the film was “I saw nothing but love up on that screen.” We’re not about condemnation, pointing fingers or blaming anyone. We’re about hope, love, and forgiveness. CWR: Who should see the film? Konzelman: It would certainly be of benefit to a wide audience, both Catholic and non-Catholic, Christian or non-Christian. But, I think it would be of special value to post abortive women and men. I also believe it would be beneficial for every mother of a teen daughter to take her by the hand and go see it. CWR: What was your goal for this film? Solomon: To please the Lord and to do His will perfectly. We made this movie to serve Him. We’d also like it to play a role in putting an end to abortion and the work of Planned Parenthood, and the abortion holocaust occurring all over the world. CWR: You’re both Catholics, active in your faith. Solomon: Yes. We’re all in! We love the Lord. I converted to the Catholic Church in 1997. When I was growing up, my father was a Jew, my mother a Protestant and I was confused. They asked me, “Do you want to go to temple, or to church, or go play with your friends?” So you can imagine I chose to play with my friends. I always believed in God, though. We moved to Hollywood. It is the darkest place there is. It’s demonic, suffocated and broken. However, the Lord enters through the broken heart. I asked the Lord what He wanted me to do. Do you want me to be a Jew? Do you want me to be a Buddhist? I’ll do whatever you want. He was all over me. He led me to the Catholic Church. I’d walk into the religious section of a bookstore, and a book about the Catholic Church would fall at my feet. I studied the Catholic Church, its teachings, its history and the saints. I knew He was leading me there. I saw the movie tonight, it was hard to watch but necessary to watch. It was a movie of redemption, and God’s unconditional mercy. A must see for parents and teens. This was a beautiful and powerful movie. Whether you ore pro-life or pro-choice, the movie is illuminating and the absolute truth. 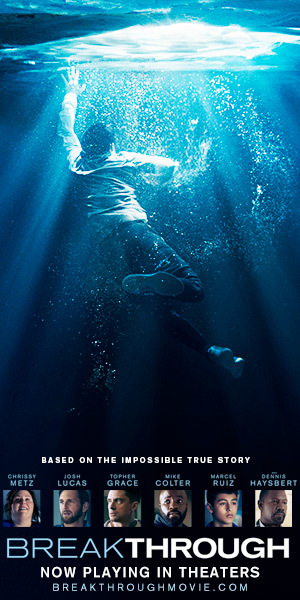 One of the finest movies I have seen in years. When will this movie be released? Will I be able seers rent it and see it at home through Fios Verizon? ‘When a train carrying Jews to the camps stopped on an adjacent platform to his train he pulled down the blind. I am so grateful this movie was made, but do wish it had included more humor breaks in the film like Fireproof and Courageous. I also wish it had ended with the court battle win instead of the roses on the fence, but I’m not an expert for sure! 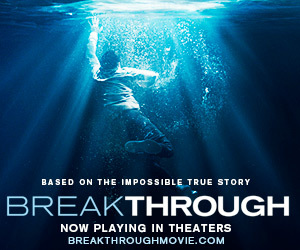 Praying this movie is seen by all! I had no idea you made a movie about abortion,thank God you did this to help all of the teens and women out there to make the right decision.I for one had a abortion at 5 months of pregnancy,It has been a living nightmare for me through all of these years .I wanted this baby so bad, hid clothes for him,begged for someone to let me stay with them, but at the time I had no help and my parents were throwing me out of their home embarrassed because I wasn’t married.I named him Christopher Todd.Nothing for me but heart break now for 48 years.Not one day goes by I don’t think of that sweet baby but I know I will hold him and see him in Heaven because my God forgave me.I wrote a book on abortion cantturnback…Barnes and Noble, because you never can go back and change things,Its a Christian book targeted for teens and other options and counseling.I cant bring my sweet son back but I can help others.I’ve been to Billy Graham’s grandsons speech invited at Marriott in Raleigh and have helped many in giving away my books to the pregnancy support services,and also many baby items to help young girls keep their babies.I wanted them to know they do have a choice,and having a baby is not a sin but a gift from God and that there are people out there to help them to keep their little ones.Im so thankful you made a movie ,I have been invited to speak at many churches and etc.I just want all of the people out there to know abortion is horrible and those sweet babies deserve a life like we have. Abortion not only hurts you,pain, but its worse on that baby than on you…because that baby is alive and feels pain also.I would give anything if I could hold my baby alive or hear a knock at my door from a son grown that was adopted .My life will never be the same.I just want everyone to know My abortion was preformed at one of the largest hospitals and it was before Roe verses wade.I was just like a guinea pig to those Drs ,one of the first saline abortions preformed.Why I walked through those doors I dont know ,why I layed there I just cried.When he was born I prayed to God for forgiveness and prayed he would take his first breath.A lot of people don’t realize not everyone wants this choice its that a lot of young girls are afraid and treated horrible by family members and don’t know what to do.I was in a relationship for a long time and thought we all could be family but that is when my boyfriend walked out on me .Sad sad thing..but no going back to fix things.I really believe if people like me had the chance to speak instead of men more lives would be saved,because I know what it is like I was one of the girls with no one with compassion and with no guidance.My book is in memory of my son,and its to alert other women how much it has changed my life and how he never got a chance.No fault of his…just to see and hear one cry is all I have ever dreamed of since that day.God bless you for making a film.Im pro-life and I know I am forgiven by the grace of God..and little Christopher is in Gods hand awaiting my entrance into Heaven…Hoping and praying for a great reunion!.Please to everyone out there who is pregnant and not knowing where to turn to do the right thing,I wish I had of but I can never change what has happened and neither will you be .Life is precious..That’s why we are all here .What if your parents decided to abort you,there would be no conversation on abortion now ,and you wouldn’t be here to argue the point.All of the ones for abortion…you were once a embrio too ..think about it and pray about it abortion is wrong,and yes even though I had one if I could go back I would give my life for his any day…He was as close to Christ as you could be ,no sin ,never harmed anyone…He was perfect!My heart is so broken and his life was gone!